From The colour circle series, part 2. 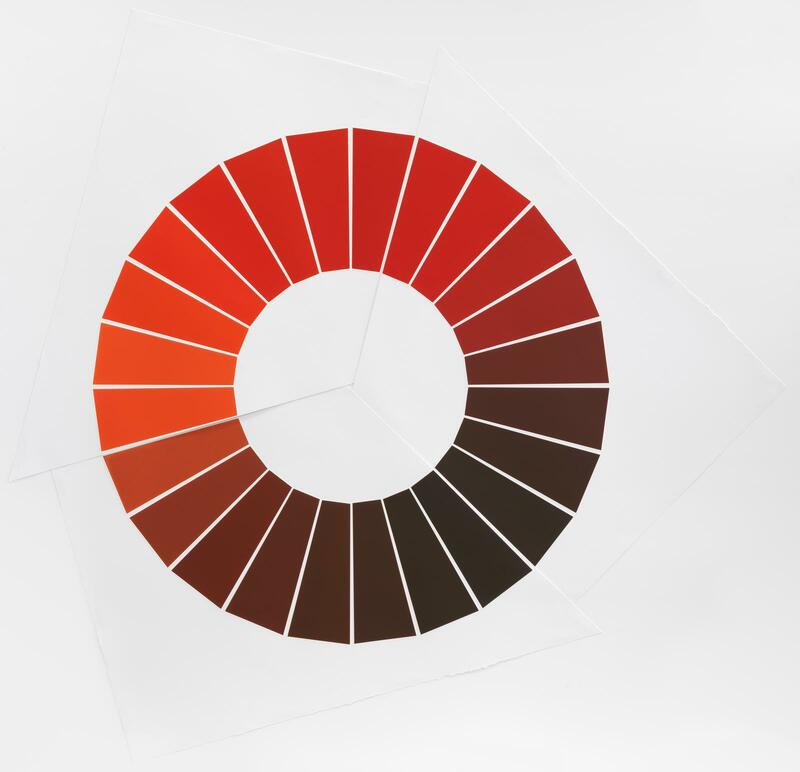 The colour circle series consists of nine colour circles, each made up of 24 equidistant hues. The circles are subdivided into three categories: part 1, part 2, and part 3, each consisting of three works. The red colour circle explores the primary colour red, mixed with a very small amount of each hue from The constant colour circle (based on the three primary colours: red, blue and yellow, which are mixed to create a total of 21 interstitial colours).